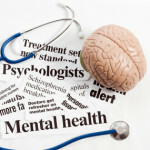 NEW DELHI: The National Commission for Scheduled Castes (NCSC) has held AIIMS guilty of caste discrimination after it took action against an assistant professor of its College of Nursing in connection with a case of alleged harassment leading to suicide by a student. Shashi Mawar, along with the principal of the College of Nursing and an unknown nurse, is alleged to have caused mental harassment to a 21-year-old nursing student, leading to her suicide in her hostel room at AIIMS in December last year. “On the basis of the discussions and the reply submitted by AIIMS, the commission observed that police is investigating three employees, Dr Manju Vatsa, the principal; Mawar; and an unknown nurse, but action has been taken against only the Scheduled Caste petitioner. The Commission recommends that in the interest of equity, action should be taken against all the employees whose names figure in the FIR. 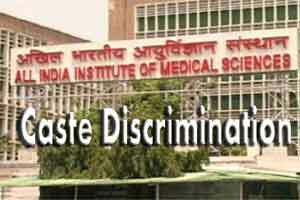 The AIIMS authority’s decision to take action against only the SC employee reflects caste-based harassment,” said NCSC. The commission also noted that Mawar, the petitioner in the case, has been asked to work under a deputy nursing supervisor, who is junior to her. “This is discrimination, hence the commission recommends that she be posted in her own department and report to a person appropriately senior to her so that this discrimination may be ended,” it said.